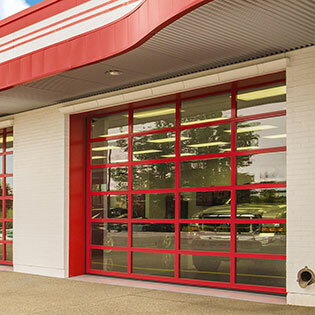 Model K-AL full-view aluminum sectional door is a sturdy, weather-resistant door that provides maximum light and visibility for larger openings. Available in a number of glass types to complement the variety of finishes, the K-AL also features optional polyurethane insulated rails and stiles. Offered in the Western United States only.